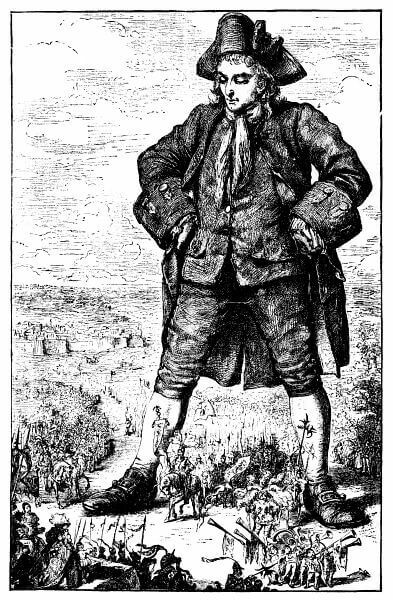 Gulliver's Travels, or Travels into Several Remote Nations of the World (1726) is Swift's famous travellers' tale, a satire of human nature in which Lemuel Gulliver ends up on the island of Liliput, where he towers over its tiny citizens. After a career as a surgeon and clergyman, Swift captained several ships, which inspired his story's adventures. The novel is featured in our collection of Books for Young Readers. Return to the Jonathan Swift library.